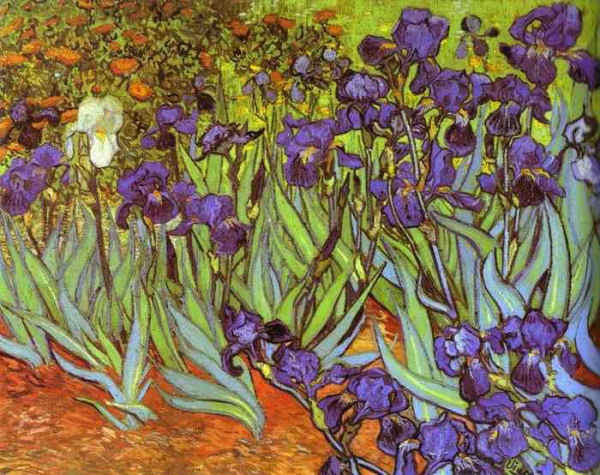 World Famous Paintings 미술 - 세계명화감상 - Irises. Sait-Romy. May 1889. Oil on canvas. J.Paul Getty Museum, Malibu, CA, USA. Laurette in a Green Dress on a Black Background. L'Anglais Warner Au Moulin Rouge. Dancer with Tambourne (Gabrielle Renard). The Moon. From The Moon and the Stars Series. Lady at the Poster Column. Stormy Landscape with Philemon and Baucis. Homer and His Guide. Detail. Green Wheat Field with Cypress. Saint-Romy. Au Moulin Rouge (La Goulue et la Mume Fromage). Eve, the Only One Left to Us. Portrait of Alathea Howard, Countess of Arundel, nee Talbot. Detail. Landscape with House and Laborer (Paysage avec une maison et un laboureur). Les Ambassadeurs: Aristide Bruant and His Cabaret. The Couple or The Couple in Lace. Man in a Round Hat (Alphonse Maureau).